Laser shelves 1LS52 are optional breadboards. 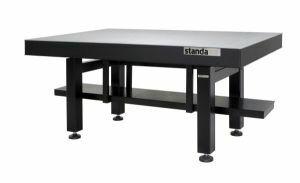 They save space when installing a laser and other equipment beneath optical table tops. A shelf stays mechanically coupled to the table top. The shelves have a pattern of M6 holes. 1LS52 has M6 screws to attach directly to the bottom of a table top. 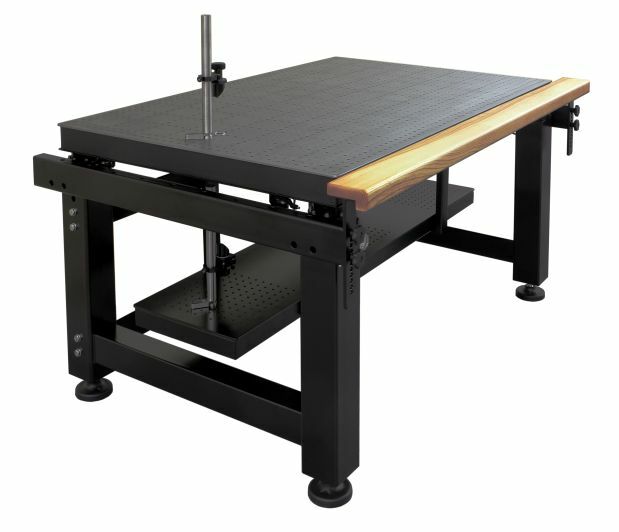 So it can be used with any table top, with any support, or vibration isolation. Location of attachment (holes) can be standard, or specified by a customer. Laser Ports in a Table Top are used to let a laser beam or cables through. 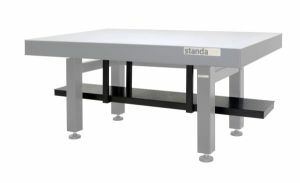 Standard location of a port is chosen for use with the Laser Shelves 1LS52 When ordering, append letter "H" to the code of a Honeycomb Table Top e.g. 1HT10-20-20H (see article 1HT). Shelves of custom size are available.